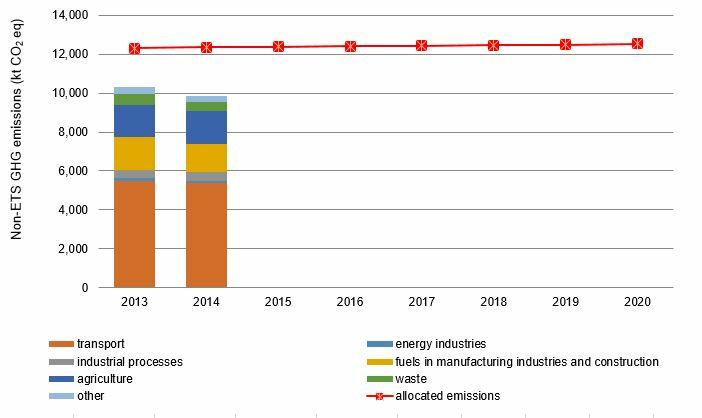 In 2014, Slovenian GHG emissions declined sharply and were 9.5% below the values in 2013. 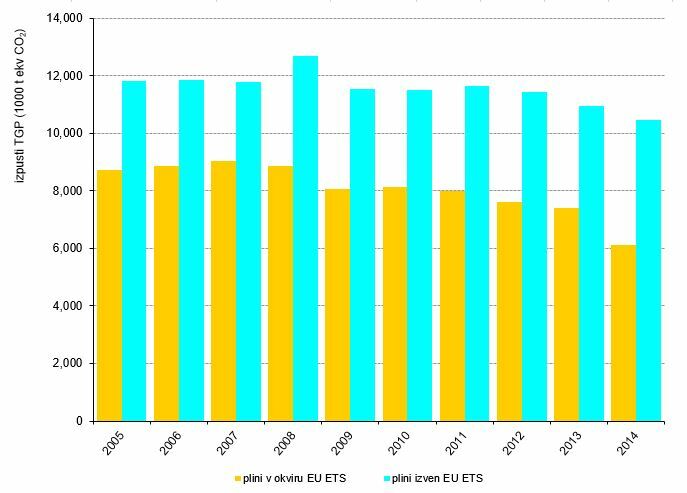 Therefore, Slovenia is on track to achieve the EU goal, as non-ETS GHG emissions in 2014 were about 15.3% below the quantities allocated for that year. 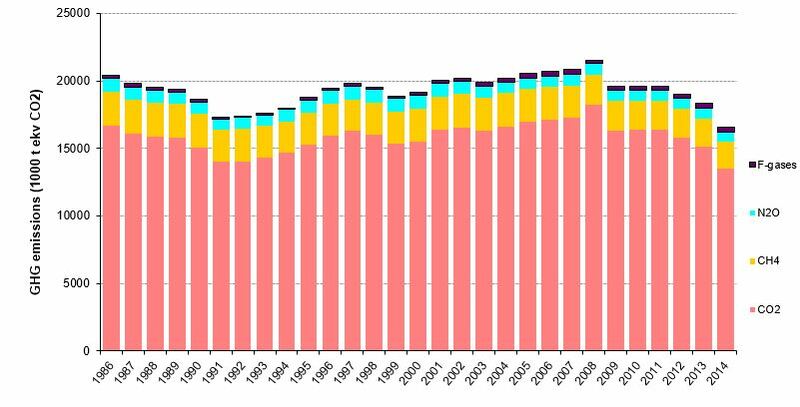 Greenhouse gas database, Slovenian Environment Agency, April 2016.